When you think of extracurricular school projects, the first things that generally come to mind are sports, dances, clubs, food drives and community fundraisers. You know, the normal things. Students from the Olentangy School District certainly participate in all these activities, but they also have a very unique project, housed at Olentangy Orange High School. Well, picture this: These students aren’t baking cookies or collecting cans. They’re building robots. When the FIRST FRC Team 4611 contacted Chepri® about a sponsorship, we were understandably curious, and upon learning a bit more about their exceptional program, could not help but get involved. You see, this is not your run-of-the-mill academic endeavor. This is real technology at work. 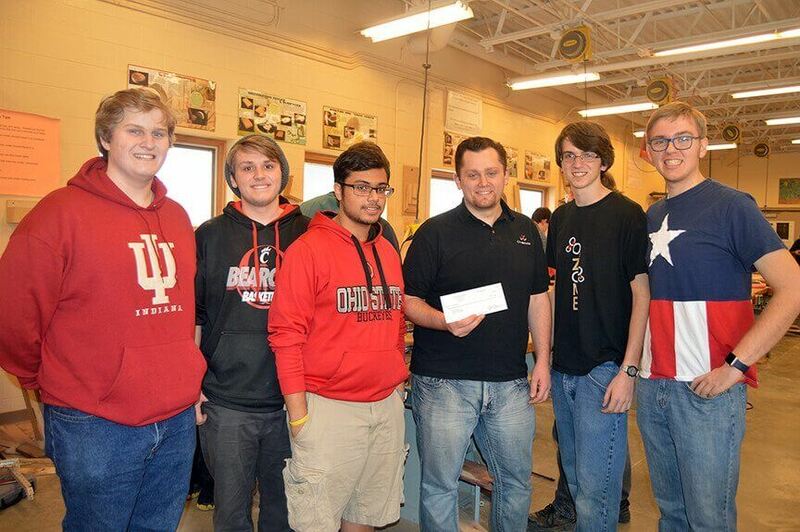 So, who is the FIRST FRC Team 4611 and what do they do? The FIRST FRC Team 4611 is composed of 86 students from all three of the Olentangy district high schools, and from all four grade levels. They are affiliated with “FIRST” (For Inspiration and Recognition of Science and Technology), a global organization providing students and their adult mentors the opportunity to work on science, engineering and technology projects together, culminating with local and regional events where qualifying teams compete for awards and a spot in the FIRST championship. The team has six weeks to build a game-playing robot weighing up to 120 pounds, capable of accomplishing tasks such as scoring balls and flying discs into goals, inner tubes onto racks, and balancing on beams. The team is given a standard set of parts in addition to setting up a budget, and making specialized components. 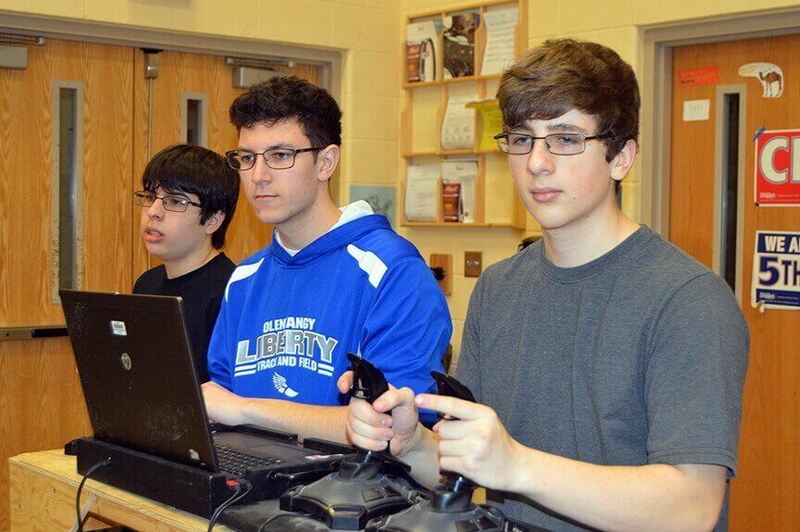 This is the fourth year the Olentangy FRC Robotics Team has entered the FIRST competition. The first year, they won the Rookie All-Star Award, recognizing them as an outstanding newcomer, and last year they ended up as quarterfinalists out of over sixty other competing teams. 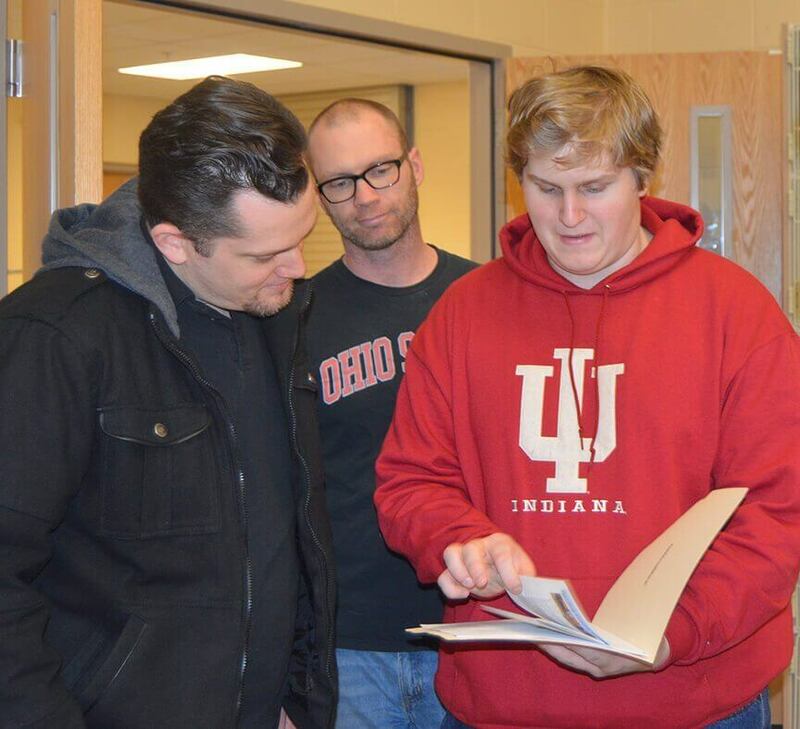 The FIRST FRC Team 4611 began district-wide under the tutelage of technology instructor Rory Schmidt, who brought the First Robotics Challenge to the Olentangy School District. Initially, to become knowledgeable about the processes involved, they built tennis ball launchers to become acquainted with FIRST-approved motors, parts, and wiring. Following this, Team 4611 fabricated a “shooter” robot with a hopper system, aiming mechanism, and aluminum frame supporting the electronics. 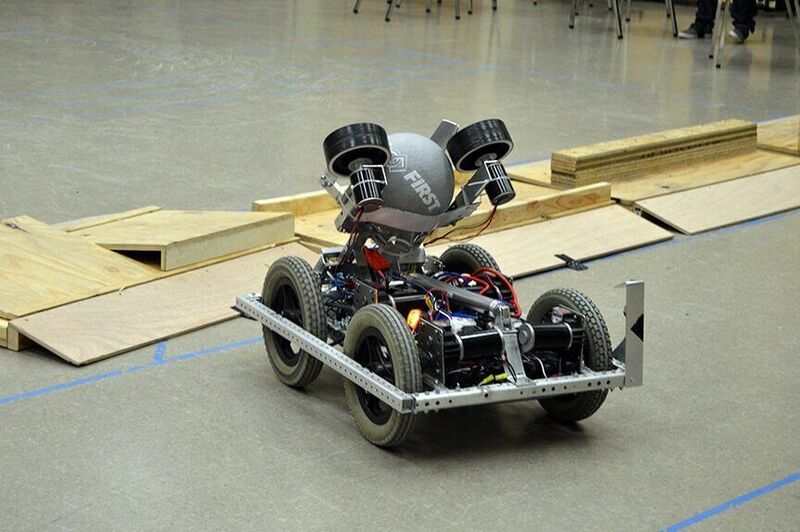 The robot’s software development controlled the firing, driving, and the ability to respond to a wide range of inputs, optimized for speed and accuracy. At the first Buckeye Regional event held in Cleveland, the robot successfully made a full-court shot, ending their inaugural season with an award. According to FRC Team 4611 Electrical Captain Joe Forsman, the FIRST-provided electrical components for this year’s robot have been perfected, allowing the team to focus on improving the previous year’s design. 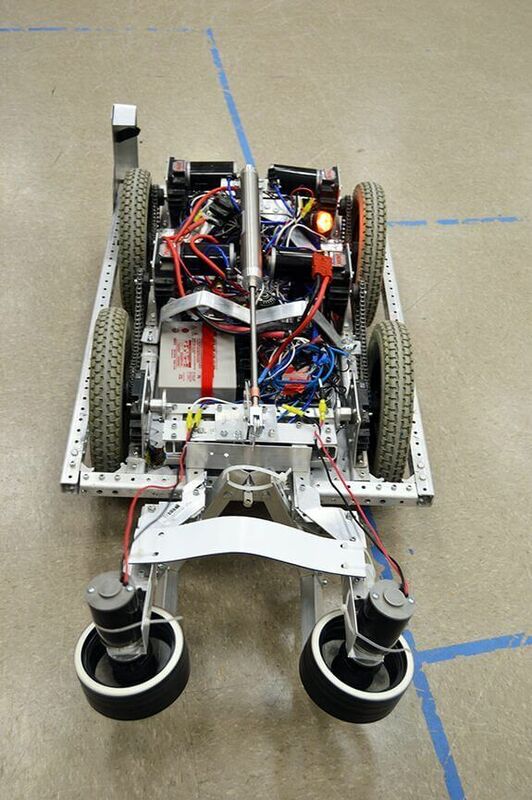 In addition to a wireless connection to the drive station, the new robot possesses vision acquisition, allowing Team 4611 to create an automatic targeting system using a system shining lights at the goal and reading the data returned, including range and orientation. Forsman explained that this improvement will enable guaranteed shots, as well as score during the autonomous period at the beginning of every match. Forsman believes this year’s robot was designed and fabricated better. The team set aside more time for driving and coding to work out weaknesses, completed a welded enhancement of the wheel shooter arm, and began soldering connections instead of using heat shrink crimp end terminals. 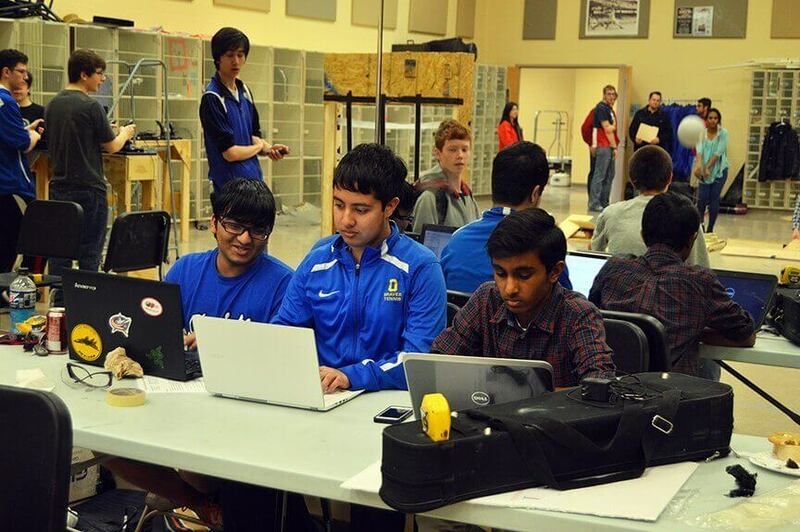 Drive Team Captain Salil Mahajan emphasized the fact the team had access to more tools this year, including 3D printing for custom parts, and CAD to make precise calculations for part dimensions. 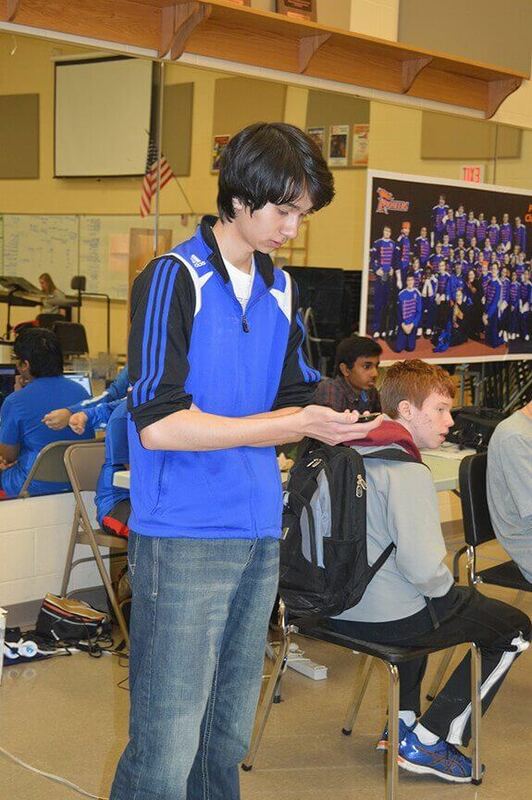 Team member William Perry related that other challenges included constructing a robot capable of navigating barriers while aiming balls into a tower, using more strategy-based tactics. According to Mahajan, the challenge consists of many parts, such as breaking different types of defenses while shooting “boulders” (10-inch foam gym balls). The defenses require their robot to endure rigorous amounts of use, so they worked to create a much more sturdy and durable robot this year. They are seeking a strong start while progressing farther at this year’s competition, scheduled for March 16-19, at the Wolstein Center Buckeye Regional in Cleveland. Schmidt expects Team 4611 to finish in the top 20 of the 60 teams, hoping to make it to the finals, with their robot performing well, and functioning fluidly without any problems. He is very content with his team’s progress thus far. Chepri® met nearly all the FIRST FRC Team 4611 participants when presenting our donation, and were treated to a guided tour of the workshop, hands-on demonstration of the robot, and of course, first-class conversation. When talking to the team captains, we could tell the students were excited and appreciative of the FRC experience. “What I have learned is extremely valuable to me. From leadership skills, to working with a group, to building problem-solving skills, it has been a rewarding experience,” team member David Pannier said. Rewarding is a good word defining our experience as well. 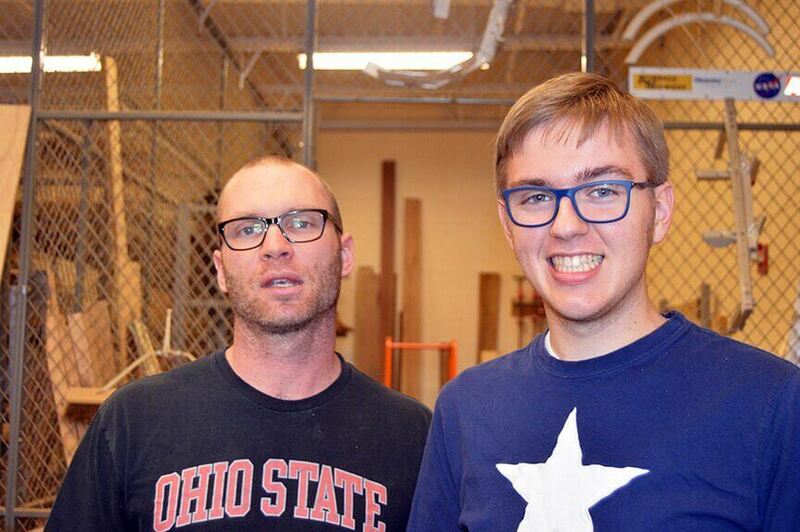 The enthusiasm of everyone who is part of the FIRST FRC Team 4611 was real, and what’s more, palpable. 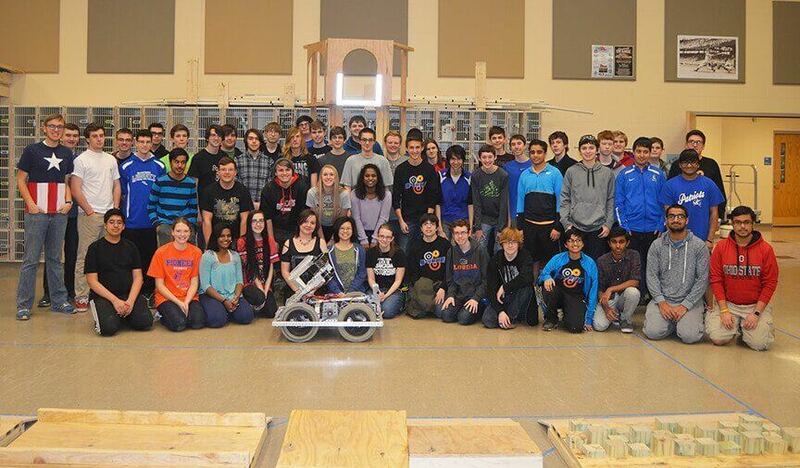 We wish Team 4611 well, and look forward to seeing the Chepri® logo displayed on their winning Buckeye Regional robot. We were pleased to become a part of their community.